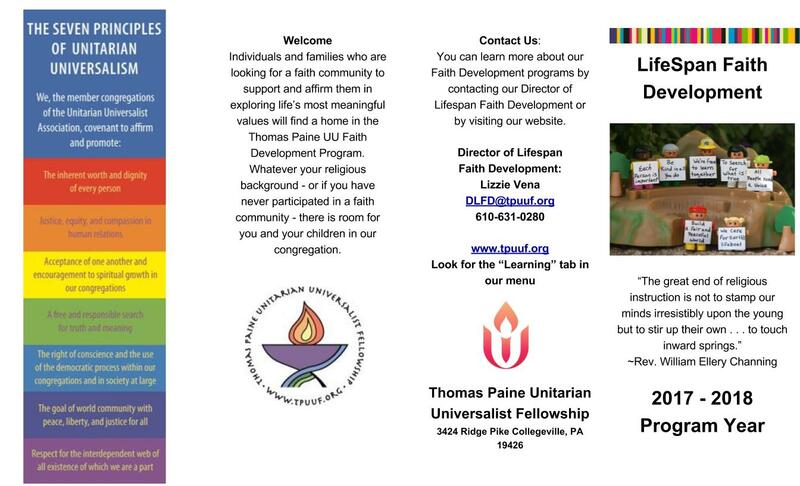 Lifespan Development programs include classes for both children and adults but Faith Development is so much more than classes. We also offer book discussion sessions, meet-up styles field trips with some geared towards families and others geared for adults, Small Group Ministries, special interest groups that explore topics and experiences such as meditation, a UU mystic group and exploring various spiritual practices. We offer special services throughout the year including specially designed Multi-Generational services and Children’s Chapel. Many programs incorporate social justice activities, worship opportunities, service trips, fellowship, and fun. 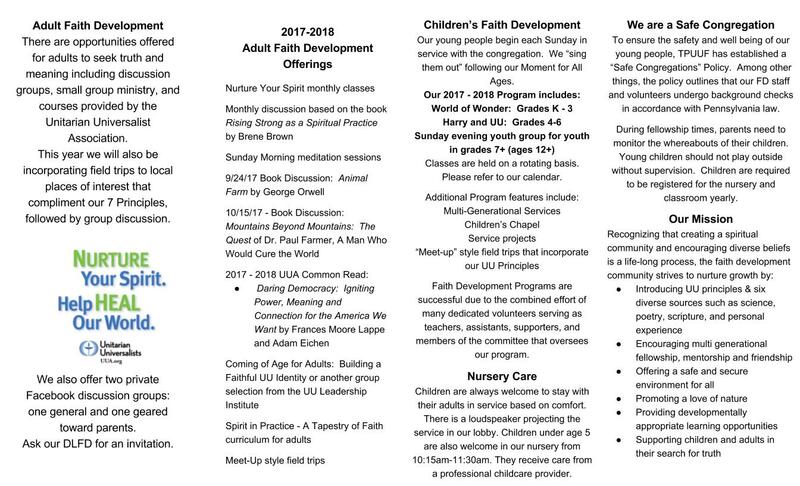 Most importantly, our program offerings are planned with the interests and requests of our congregation in mind. How can we help support your search for truth and meaning? Our lifespan faith director and minister lead many of our congregations’ lifespan programs. Parents and other members of the congregation often lead them, too. Teaching can be a very fulfilling way to deepen one’s own faith. While Children’s Faith Development programs are typically part of our Sunday mornings, our teen youth group meets on Sunday evenings. We strive to offer Adult Faith Development programs with various schedule options and commitment levels to best meet the needs of our congregational community. Special programs and meet-up style field trips are planned periodically at a variety of times. We invite you to explore these pages and contact our Director of Lifespan Development to get connected.